IMAGINE …walking to the happiest place on earth! 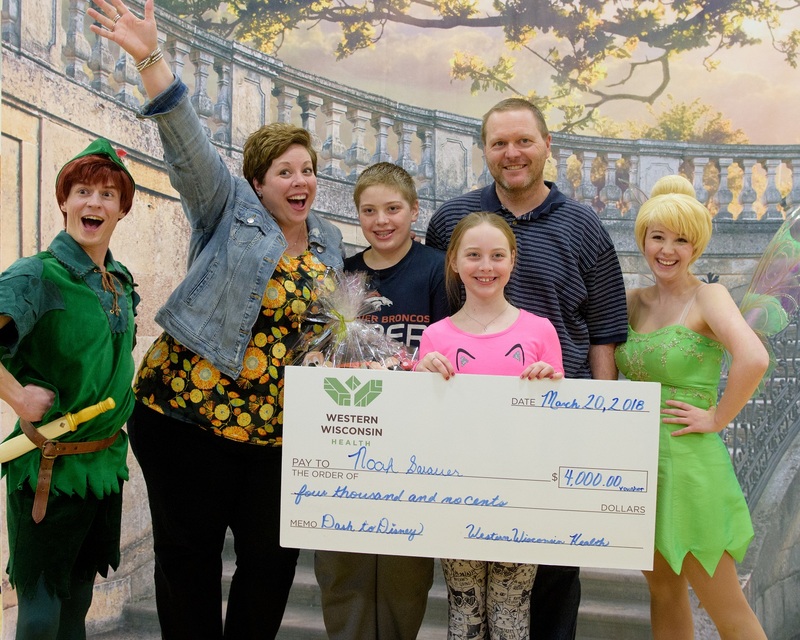 Western Wisconsin Health challenges the community to WALK TO DISNEY WORLD! Step up to the challenge! Participants (ages 5 and up) will work together to achieve one goal: walking to Disney World! Throughout the challenge, participants will virtually step to Walt Disney World as many times as possible in 8 weeks. If participants complete all 8 weeks of the challenge, they will be entered into a drawing to win a TRIP TO DISNEY WORLD!! This 8-week step challenge is $5 to all registered participants! Pre-registration is required (see below for details). Track and submit your weekly steps throughout this 8-week challenge beginning the week of January 7, 2019. You may track your steps using any app or device of your choice (i.e. Fitbit, Runkeeper, pedometer, etc.) on wwhealth.org. Grand prize trip will be received as a travel voucher and must be used toward a Disney destination. Winner must be present at finale to redeem prize. *Other sponsored prizes will be drawn for at the finale. Meet some of your favorite Super Hero Characters and take a photo! Learn more about WW Health, wellness services, and more! As a participant, you will receive weekly emails throughout the challenge for encouragement and motivation. These emails will be filled with health & fitness tips, expertise, as well as updates on everything wellness!